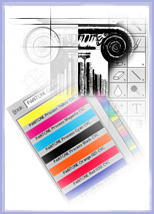 Four color process is a system where a color image is separated into 4 different color values by the use of filters and screens (usually done digitally). The result is a color separation of 4 images that when transferred to printing plates and printed on a printing press with the colored inks cyan (blue), magenta (Red), yellow and black, reproduces the original color image. The use of color in printing increases readership and information retention. Studies in a major publication revealed that the use of color increased readership by 40% or more. A university study showed a 65% increase in the retention of material when full color was used instead of black and white. 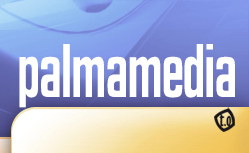 Whatever you want printed, t.o Palmamedia is here to help. We can work through your requirements to quickly and easily provide quotations and samples to demonstrate similar jobs we have completed. Whether you are looking for a printing company to supply stationery requirements or mass produce your product catalogues, Flying Colours can cater for your every need. If you are looking for competitve colour printing, just follow the link to see our price list. ... printing, digital print, digital printing, abobe,adobe service provider, stationery, quick print, digital imaging, graphic design, multi-media design, web design, illustration, colour, graphics, full colour printing, digital press, print from disk, brochures, flyers, point of sale, posters, direct mail, manuals, video sleeves, CD covers, prospectus, course leaflets, certificates, forms, stationery, reports, business cards, quotations, data sheets, books, journals, newsletters, maps, newspapers, greeting cards, postcards, labels, samples, special offers, multi-language packs, personalisation, self adhesive vinyl, non-tear and waterproof plastics, transfer material, static film, photographic images, plan printing, plan archiving, laminating, print finishing, book binding, scanning.